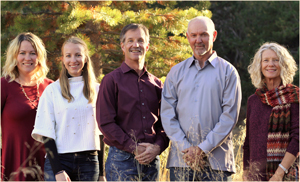 Home > Testimonials > Rich & Sarah M.
I recently moved my family to Truckee from out of the area. It is never an easy task to start a new job, raise a toddler and look for a house at the same time. We chose Tahoe Truckee Homes with a recommendation and it was the best step we made in our move. Matt and Samantha are true professionals and very easy to work with. Their in depth knowledge of the market and the area made looking for a house easy and enjoyable. Matt had a low pressure approach, yet he was always available with answers to our questions and needs. He and Samantha’s help went beyond the simple house buying process taking all the stress out of it. Matt is more than our realtor, he’s a friend of the family.